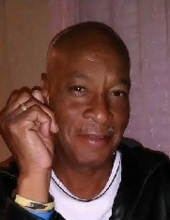 Plant a memorial tree in honor of Lionel Claude Moton, Sr. in loving memory Lionel Moton, Sr.
A new memorial tree will be planted in memory of Lionel in the area of greatest need. This will be done according to the planting schedule of the American Forests Organization and the Canadian Institute of Forestry. Your name will also be listed on Lionel's Tribute Wall and the Honoring a Life website.